The Queenston Heights has been named over the years as the best seasonal restaurant in Niagara Falls. Located a few kilometers north of the Falls and surrounded by alluring farmlands in the little hamlet of Queenston, the Queenston Heights Restaurant offers unique dining experience for visitors, is definitely an ideal place to relish a delicious dinner with your family and friends. Think of sipping cocktails in sumptuous covered patio during the cocktail reception that hosts prior to the dinner. 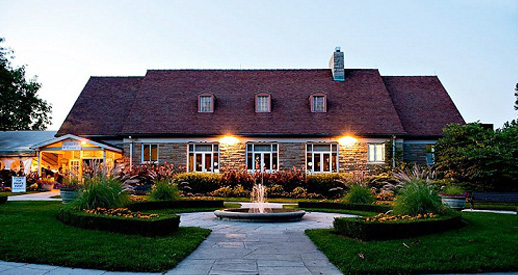 As a Gateway to Niagara Falls Wine Country, the Queenston Heights Restaurant highlights award-winning VQA wines and becomes heaven for wine enthusiast. Enjoy the Niagara River and local vineyards that stretches across the region from your private banquet rooms or patio bar. The restaurant also features two Park Pavilions top of the Niagara Escarpment that can accommodate 800 guests, is a perfect place for wedding and other special events.